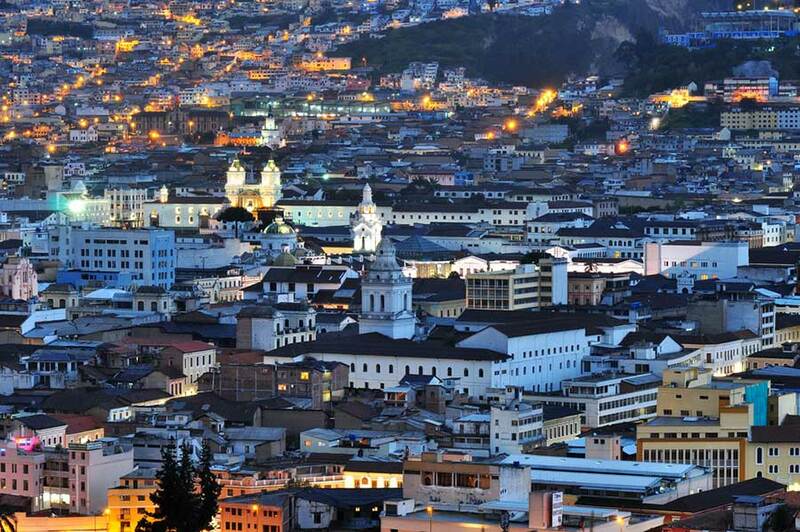 Quito elevation is 2800 mt which makes it the second highest city of the world, after La Paz, in Bolivia. 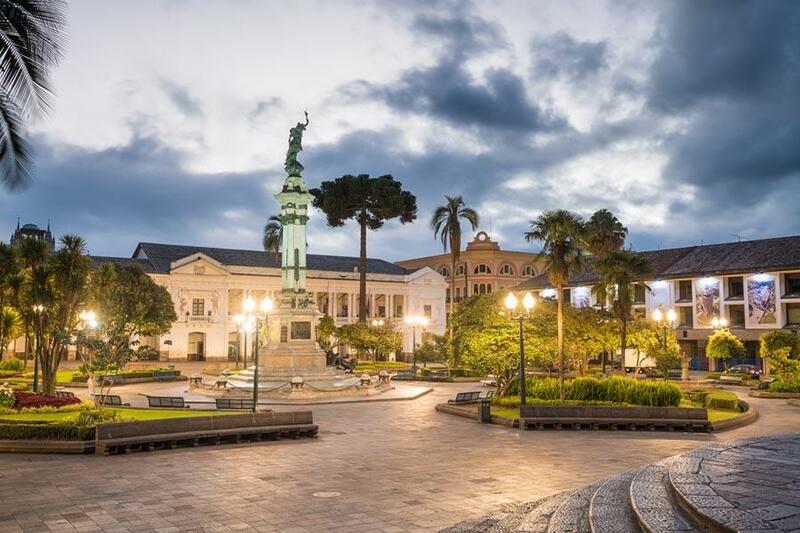 The multifaceted Ecuadorian Capital prides itself to be the closest city to the Sun, a detail that might not seem so important to us, but has deep religious meanings for the pre-hispanic populations. 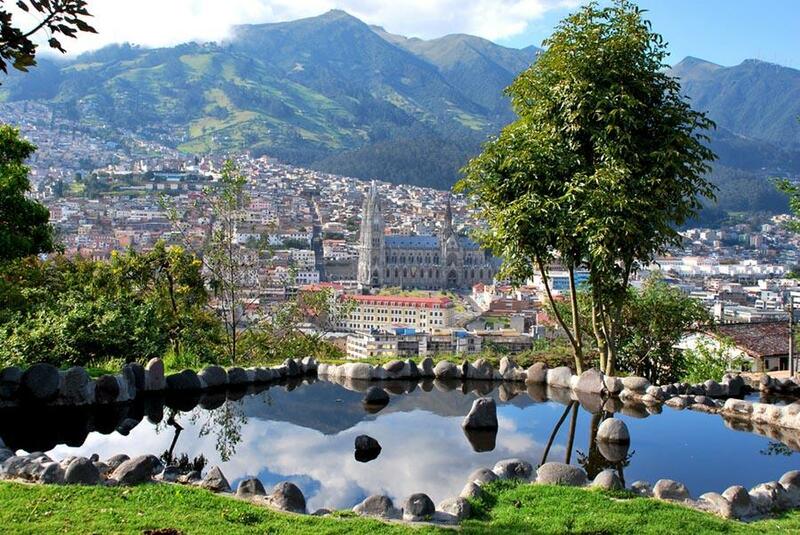 The name Quito was given by the Population of the Tafqui and never changed. It means, in fact, the middle of the world. Since those times they seemed to know in fact that they were close to the Equator. 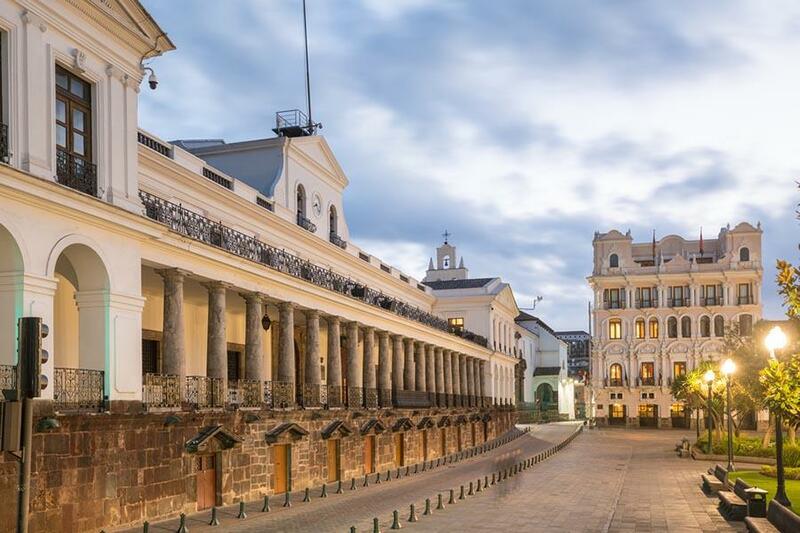 Unfortunately, the original City of Quito had been burned down completely by its governor, Rumiñahui, brother of the Inca emperor Atahualpa, who preferred to destroy it instead of giving it away to the Spanish conquerors. 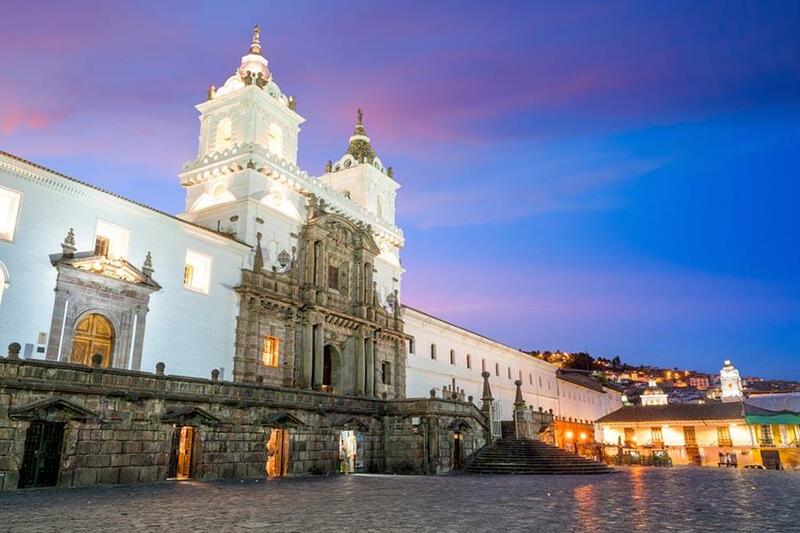 If you walk the street of the historical center you will see in fact the conqueror’s imprint, with colonial buildings, and churches from many different religious orders, mainly the Jesuits and Franciscan, that were competing between themselves to have the biggest and most opulent church. The city is full of histories, anecdotes, and legends, and my best advice is to take one of the free walking tours available around the city in many different neighborhoods where knowledgeable guides, normally university students, proud of their country and city, will give you a lot of interesting information about the city culture and traditions. 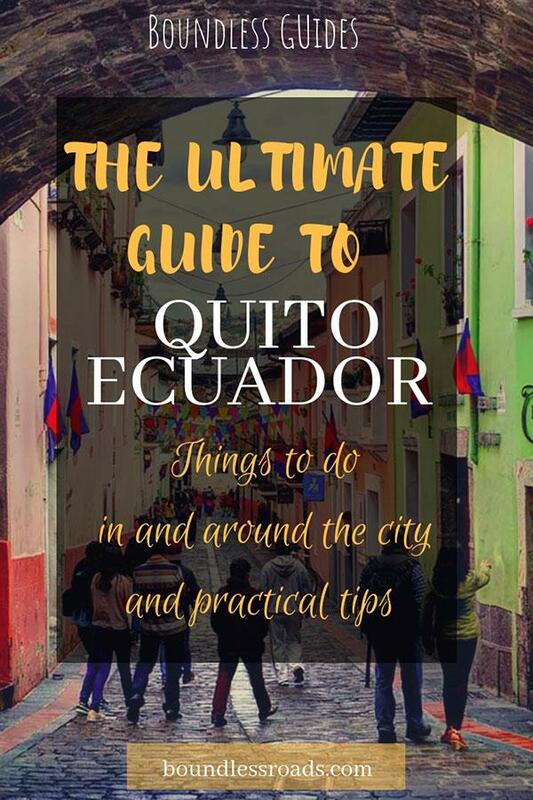 I have been in Quito for almost a month in December and although I was mainly working I had the time to cover a lot of the exciting things that the city offer and I will tell you all about it in this post. I was staying in the historical center in an apartment with spectacular views of the city. However except for this positive detail, if I had to choose now I would rather stay in La Floresta, the artsy neighborhood, totally different from the center, more modern and vibrant, with its graffiti colored streets, nice little cafes and a great variety of restaurants. If you wish to know more, read on. I will cover a lot in this post. 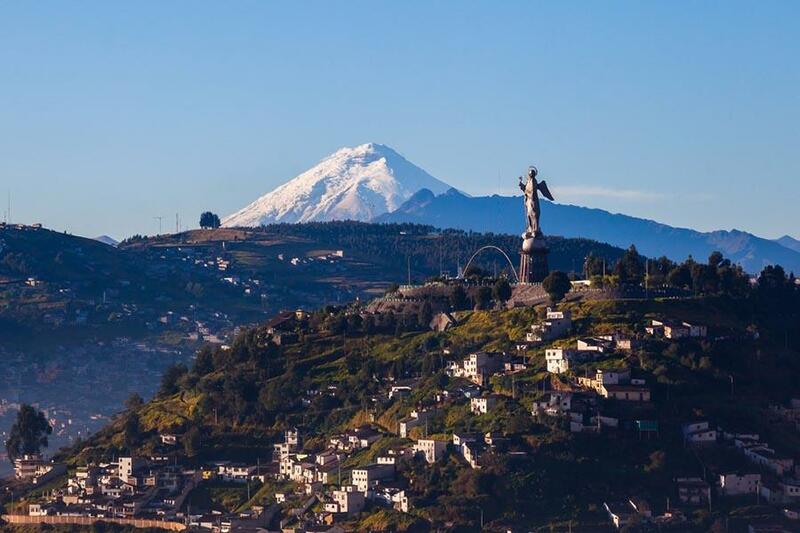 You need to know that the city of Quito lays in an enclave surrounded by several volcanoes some of which active. The closest one is the Pichincha with its two peaks towering over the city. 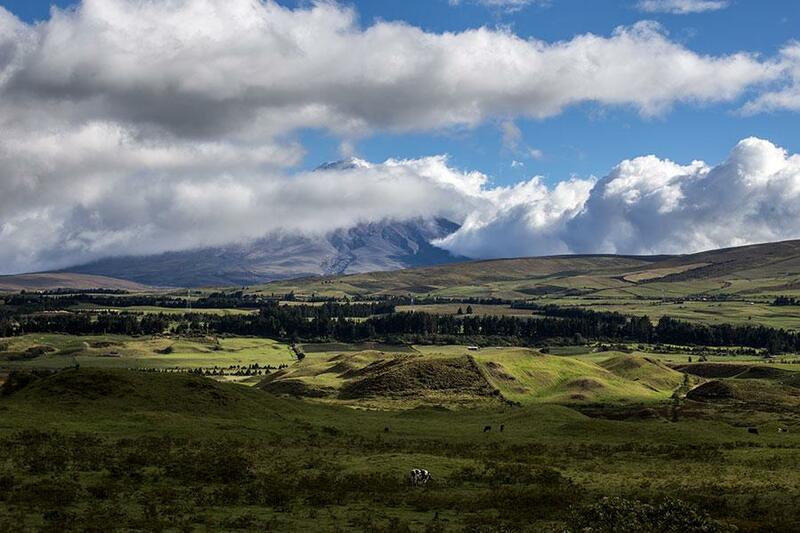 The others, each one with its own personality, history, and legend, are Cayambe, Antesana, Pasochoa, Sincholagua, the most famous Cotopaxi, Ruminhaui, Liniza, Corazon, Atacazo, and the highest Chimborazo, which they like to say it’s higher than the Everest, but only if you measure it from it’s base not from the sea level of course. 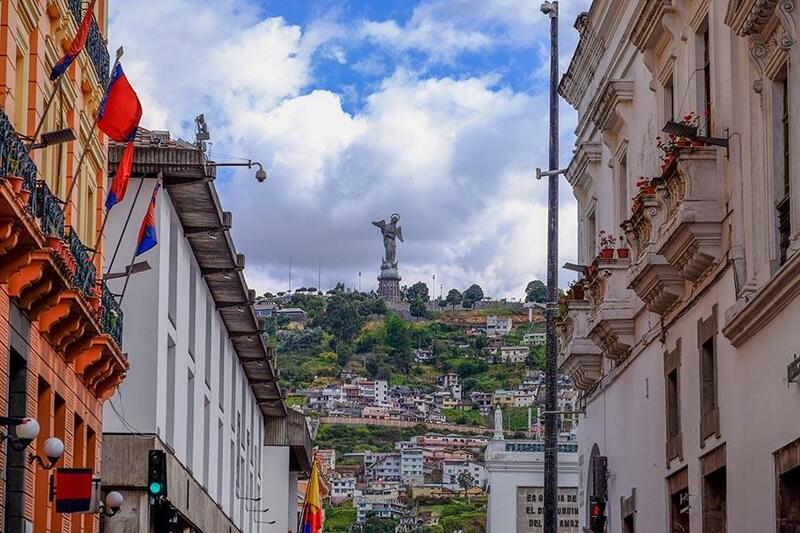 The vicinity of such incredible natural places, the constant growth of Quito as a cultural hub and cradle of art make it an attractive and interesting base for the avid travelers eager to discover the wonders of Ecuador. 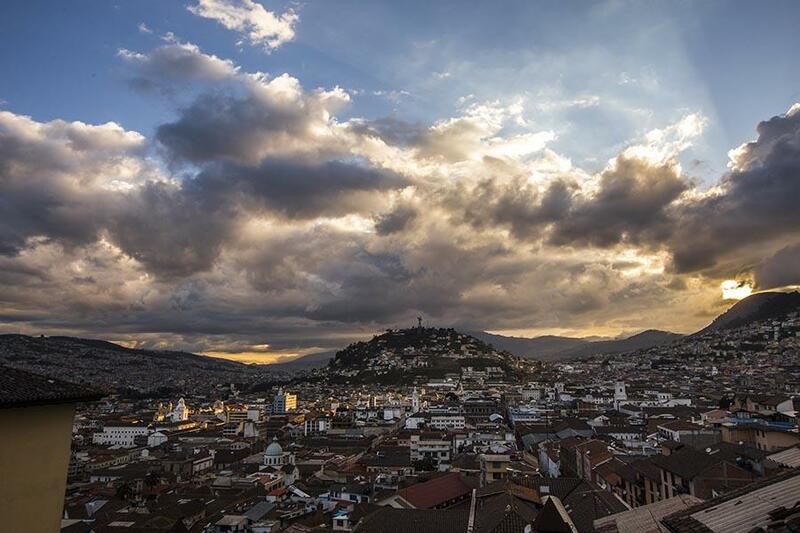 The only risk you get when you arrive in Quito is that you will never want to leave. 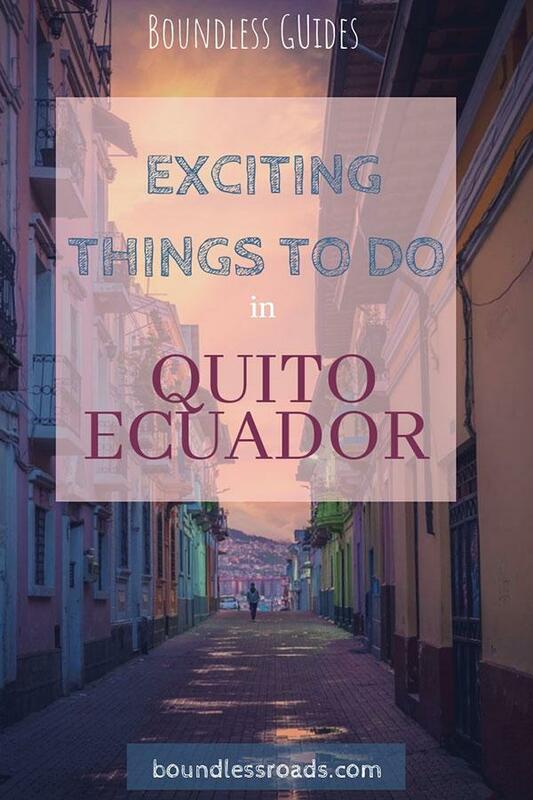 Here below I will list all the things that you can do in Quito and from Quito in a one day trip. Quite an obvious suggestion, right? Not really. I believe the first thing to do when you get to one city is just to wander around and getting lost, well not really lost. There are places that it’s better not to go at a certain time of the day. Even the historical center gets quite unsafe to walk around at night (see here below the chapter on safety). 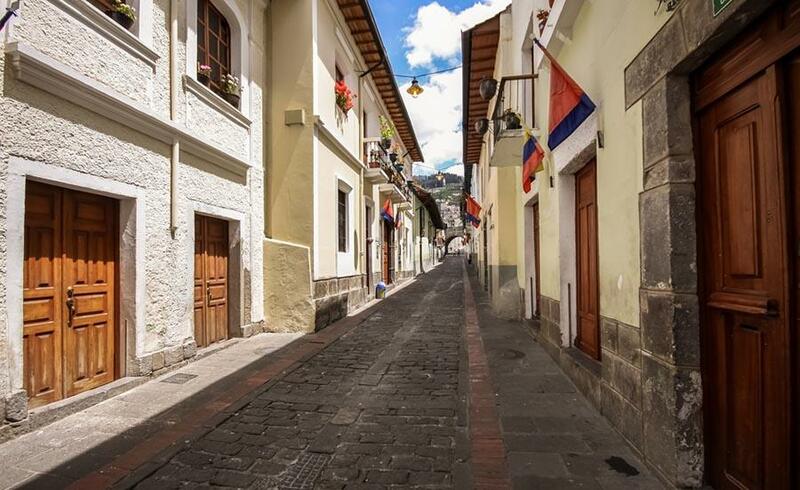 But during the day it’s a spectacular neighborhood to discover, with its colonial building and ancient churches. There is more than one option, from street food tour to the tour of La Floresta neighborhood (my favorite), Guapulo. I found them on this site specialized in walking tours from the world. I think this is quite useful for every city. It’s a 15-minute ride that takes you up to 4100 mt. 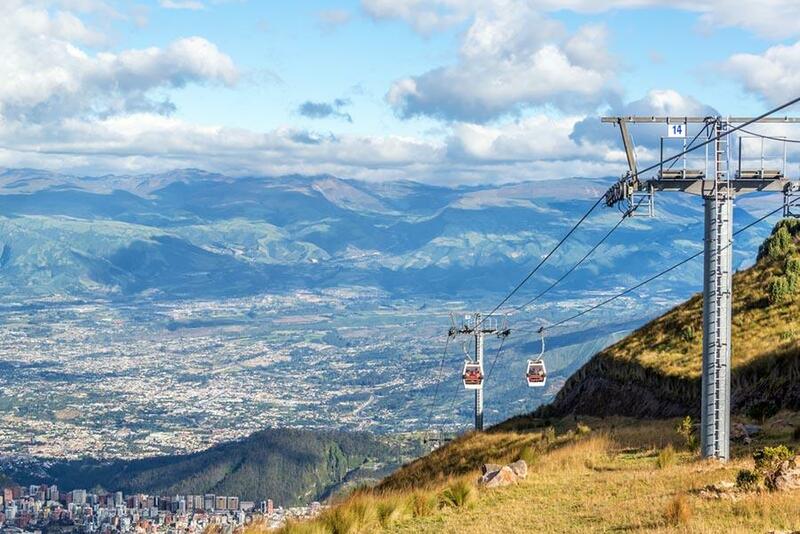 If you get there on a clear sky you will be able to enjoy breathtaking views of the city and, if you are even luckier of the surrounding peaks as well. I went twice, the first time with my friend Barbara during our last day together after our amazing trip to the Galapagos. That day was super cloudy or foggy or both, we couldn’t see after 3 mt ahead of us at the beginning but after we walked around we managed to see a glimpse of the city. The second time I went, was with a professional trail runner and hiker, a guy from Quito that I casually met. No, it was not a date. He was so passionate about its own country that he just loved to share it’s knowledge and offered to take me to Ruco Pichincha, one of the peaks of the Pichincha mountain. It was a total failure for me but I will be talking more extensively about it on another post. You don’t need to be a hiker to go there. You can just take a ride and enjoy the view and maybe have an easy short walk to the swings (it’s an Ecuadorian thing, they love to swing in the empty space). The ride costs 8 USD return. Remember to keep the received for the return flight. Opening hours from 8 am to 4 pm. I am not sure about the return time but it’s advisable to go in the morning cause it tends to cover up and gets even colder. Dress in layers cause you never know, you might need to switch from a tank top to a Snowboard Jacket in 5 minutes. #5 Take a walk in the hipster neighborhood of La Floresta. I would suggest you take a free walking tour, where you get a lot of information of the culture and the reality behind the graffitis scattered around the “barrio” but if you want to do it alone, it’s a very safe area, full of art, cafe’ and restaurants. 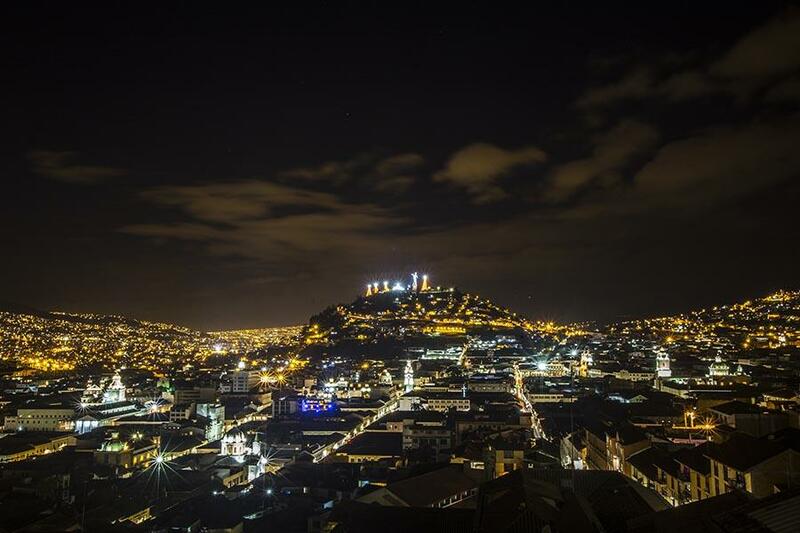 It’s also a place where I would stay if I had to come back to Quito. So quaint. Also here I took a great tour but you can definitely go on your own. Starting from Guapulo Mirador you have a spectacular view of the church and all the valley, then you climb down the stairs towards the church and you will see cute little restaurants and places to hang out without losing sight of the valley. The Church is worth a visit for the colonial architecture as well. It’s a tiny neighborhood but it’s close to la Floresta so you can plan both visits on the same day. It’s so-called because it became famous among locals for the Tripa, which not everybody might appreciate, it’s the stomach of the caw, basically. I didn’t dare try it. But they have other specialties, also for the vegetarian. I managed to get even a vegan meal although it’s not their specialty, the grilled corn is great. What it’s nice besides the food, it’s the local atmosphere and although it has become a touristic attraction or probably because of that, it’s really authentic. 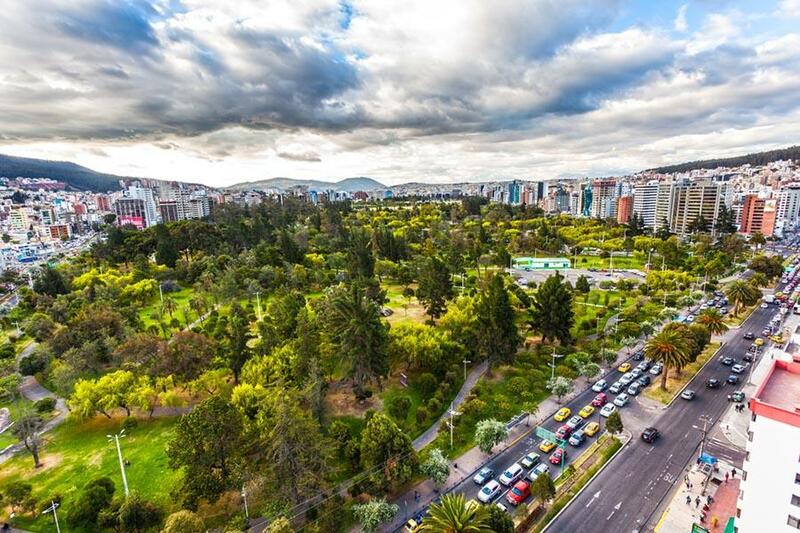 #8 Take a ride to El Panecillo to get a stunning view of the city. You cannot miss it from the historical center because of the huge statue of the Virgin Mary with two angel wings. and it even seems reachable with a short hike but every local I talked to told me that it’s better to get on a taxi or uber as the way there, besides the fact that it’s not even suitable for pedestrians, it’s quite dangerous. Apparently, the neighborhood on the hill is not one of the nicest. On Sundays the city becomes empty, no cars and all the shops are shut down. I realized it when I decided to take a walk from the historical center to La Mariscal. Quito looked like a ghost town. However, lots of bikes were taking over the empty traffic-free roads. At the tourist information, located by the Plaza Grande, in the historical center, you can get a great detailed map of the city where you will see the available car-free roads for your Sunday bike ride. 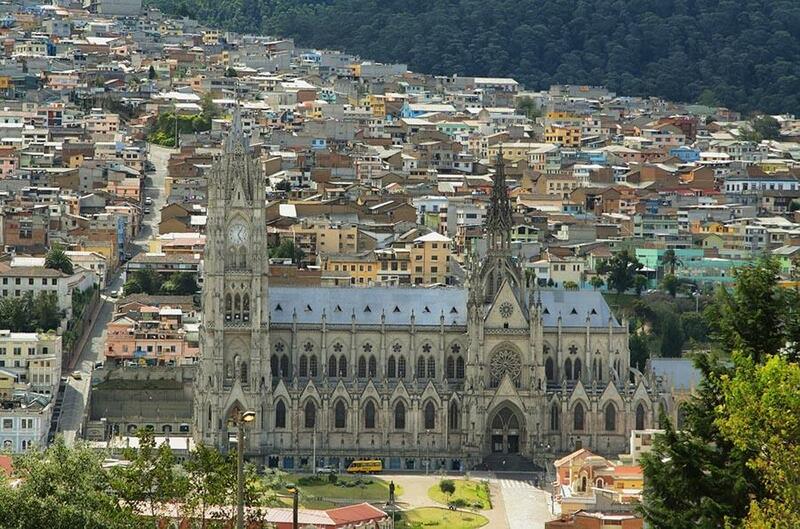 Basilica del Voto Nacional, a majestic gothic work of art. You can even walk up to the towers from which you get spectacular views of the city. There is a 2 USD fee to enter the church and 2 USD to get to the towers. Ok, I am not a real museum freak although I love to know about the history of the country I visit and I love art, so every once in a while I like to browse into museums when I feel like it’s worth it. Quito has a huge amount of museums and I am not going to list them all. These ones here below are the one I have visited and I thought you might want to read about them. I loved it. 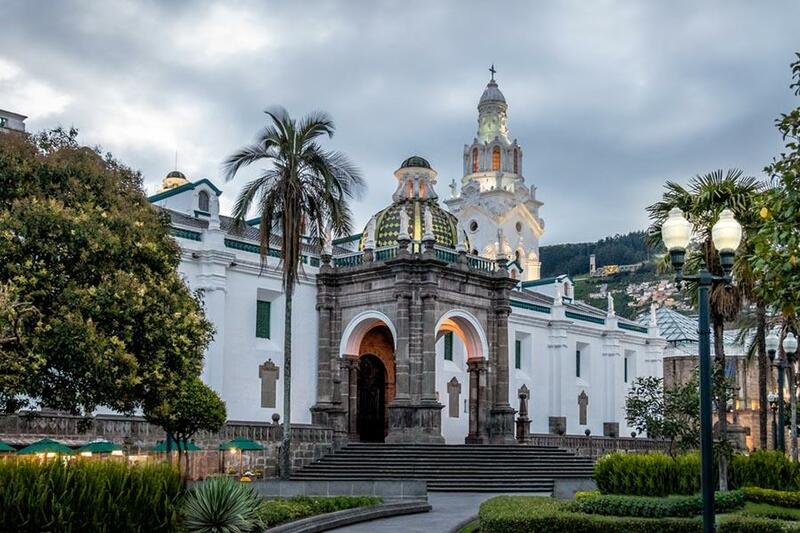 You get a free tour that last about 2 hours around the museum and the knowledgeable guides will tell you a lot of interesting information about the history of Quito. If you have to chose only 1 museum, this is what I will pick. Hours: Tuesday through Sunday: 9:30 a.m. – 5:00 p.m. Free entrance on last Saturday of every month. The beautiful modern building was previously the military hospital, which has been nicely restored maintaining the old structure with its patios nicely contrasting the new modern spaces and halls. They have a rich agenda and expositions change every 3 months. There is a new music bar, recently opened, where people gather for coffee or drinks in the evening. Outside the Museum you can enjoy spectacular views over the new part of the city. 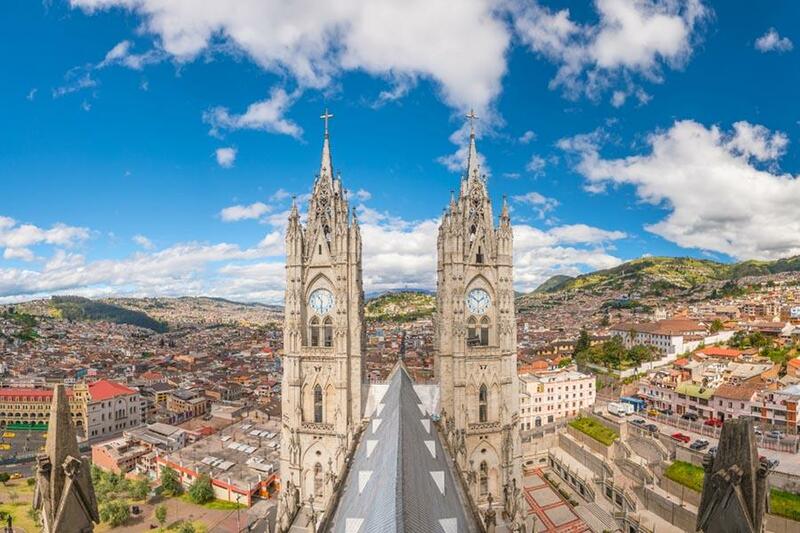 Quito is located in a valley surrounded by volcanoes, spectacular waterfalls, cloud forests lagoons, craters, and more, all at just about 2 hours distance. 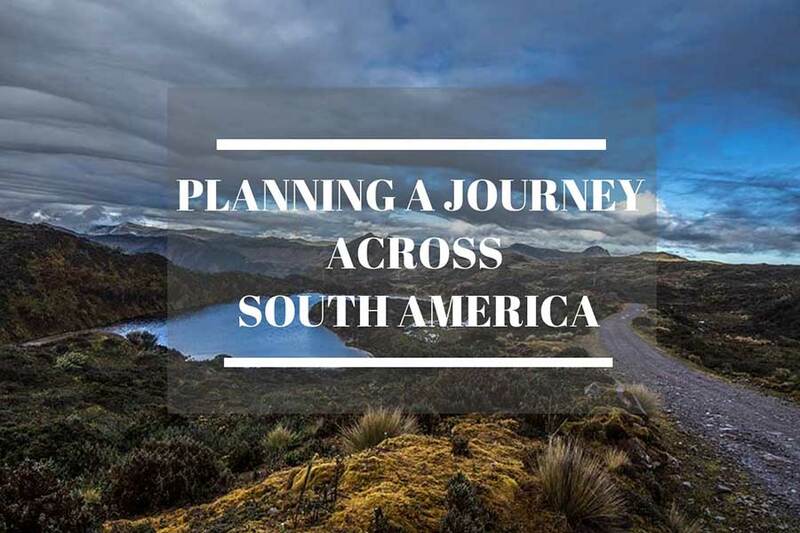 Depending on how much time you have you can choose whether to hop on a bus and make up a do-it-yourself itinerary or join an organized tour that will take you here and there, normally with a guide to explain what you see. As you know me, I hate organized tours. I don’t like to be told where to go and how long I can stay, where and what to eat, and other rules. So, unless it’s not strictly necessary I prefer the do-it-yourself option and since I had quite a bit of time in Ecuador (as a tourist I can stay 3 months per year and I still had 2 months to roam around the country) I decided to take my time and go to the destinations on my own and visit them at my own pace. This way I could cover a lot more and go beyond the touristy stuff. 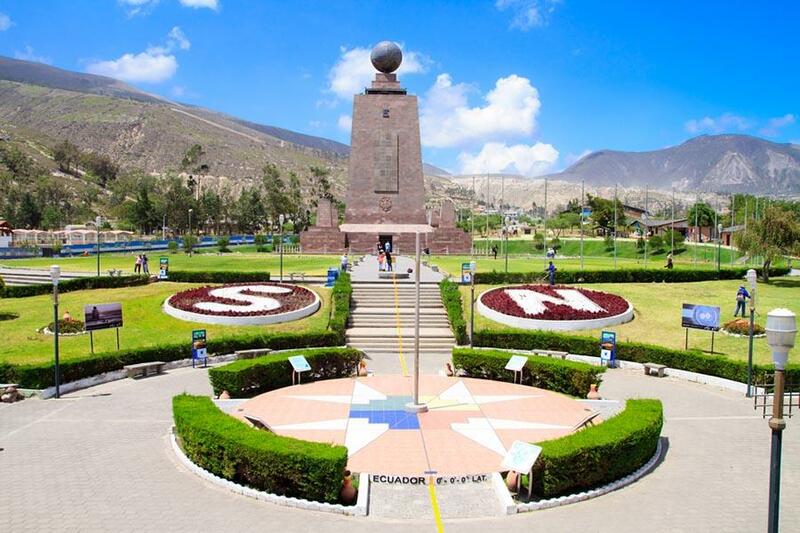 Here below I will tell you all the tours available from Quito and how I did them instead. 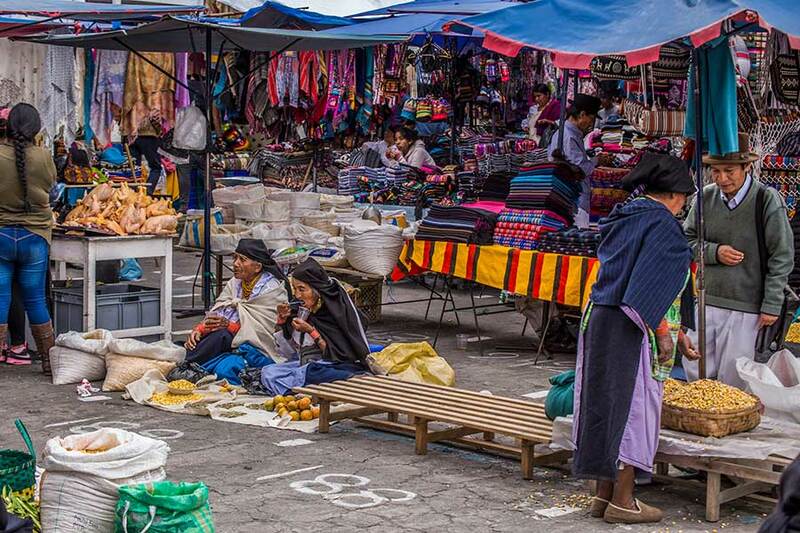 I found out that there is much more than what Otavalo became famous for, its colorful Market, which apparently is the biggest in Latin America. I didn’t really find much charm in it, to be honest, and in fact, I wasn’t really attracted to Otavalo by it. And the town in itself is not even the least interesting. However, I have read about the spectacular hikes that you can do from there and the waterfalls to visit. So, instead of booking a tour that would have taken me only to the market and probably one waterfall, I have booked 6 nights stay in a hostel and I would have done daily tours from there. I had an amazing time, hiking around the crater of Laguna Cuicocha, hiking Imbabura Volcano and much more. 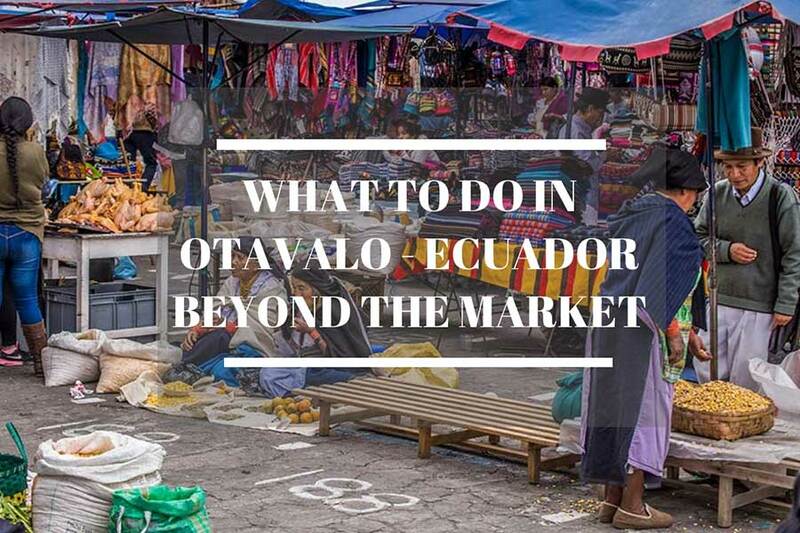 I wrote a whole post about Otavalo and you can read it here. Instead of taking a daily tour I have decided to stay by the slope of the Volcano, on a lodge from where I hopefully can take awesome nocturnal pictures of the volcano and do other awesome walks around and on the Cotopaxi. It’s called The Secret Garden Cotopaxi and I wrote in details about it in this post. I kept forgetting to include Mindo in my itinerary for some reasons. But I finally made it there and I couldn’t have made a better choice. Only if it was just for a couple of nights and one full day, I managed to see the two things I had in mind: walk through the spectacular waterfalls and photograph birds. It’s very easy to get to the waterfall and you can do it on your own, you don’t need a guide at all. 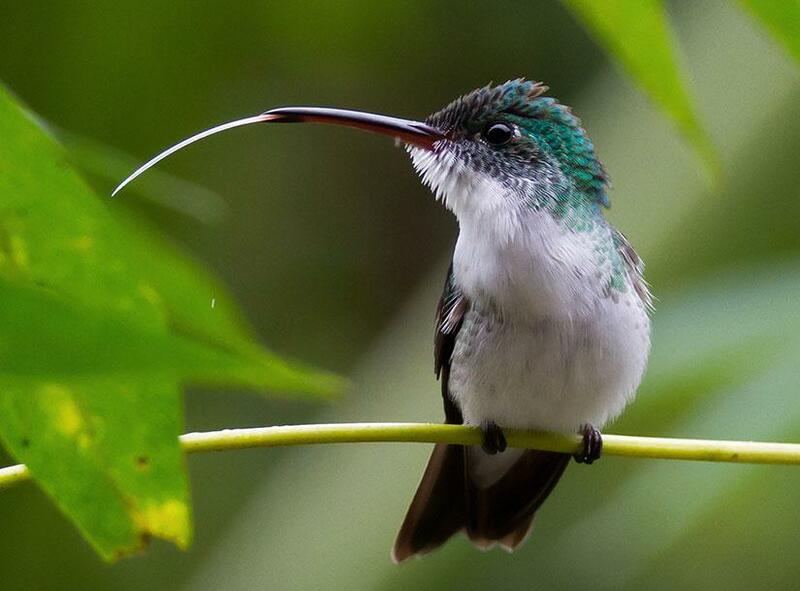 To spot birds there are guided tours with specialized bird watching guides who know where to take you. And also there are hotels where you can pay 5 USD and you can stay in their backyard where birds come in flocks every morning to eat and you can see them at a few feet from you. Super cool. I will talk more about it in a specific post. Stay tuned. 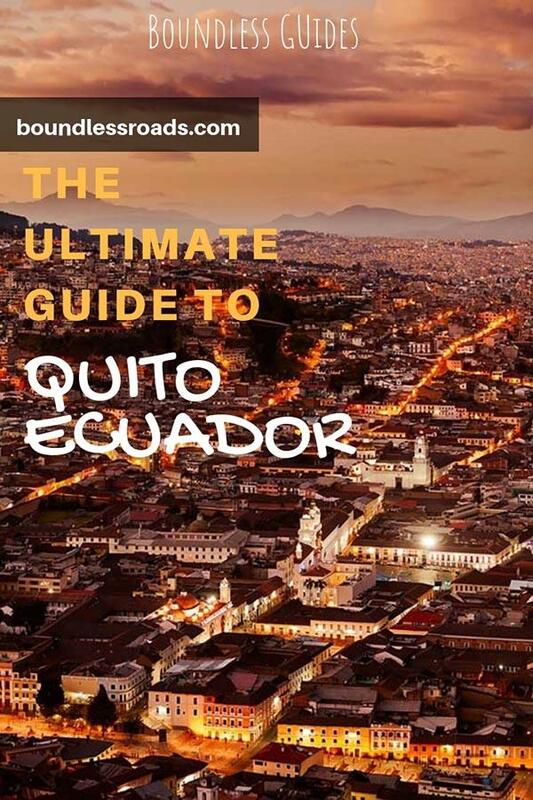 Ok, this is quite far from Quito, but they sell tours from Quito so I thought I would include it here. I went to Nicky Lodge and booked directly with them. I am not suggesting this place because I found it quite unorganized and with scarce food. Besides, I went in the wrong season and see very few animals, so my overall experience was quite disappointing. The lodge ranks very well on TripAdvisor so probably my expectations were too high, I am not sure. So, unfortunately, I am not able to suggest one lodge or the other. However, I can tell you that the best month to see more wildlife in August. Or so the guide told me. Consider that January and February is the dry season which is when the river gets dried off and dolphins are not likely to come. I was lucky on this one because it was still raining despite the season and the river grew higher so dolphins were still there. I have seen a couple surfacing for a few seconds, not good enough to take pictures, though, but not even to see them so well. If you are looking for peace and quiet, love to spot birds even from a distance enjoy walking in the jungle either day or nights and looking at a million stars, but most of all love to be totally disconnected from the real world and WIFI, so that’s the place where you should go anyway. If you are a photographer and want to go to the Cuyabeno with the sole purpose of taking awesome photos, you should better take a photography tour, with fewer people and specifically dedicated to find and photograph wildlife. I don’t know, to be honest, it’s just one of those places with little significance. The only detail that could drive me there is that it’s close to the Pululahua crater, but since I have seen the Cuicocha of unbeatable beauty, I believe I am good. PS I even read that the middle of the world is not even there, they have made the wrong calculations… just saying. There are so many restaurants to chose from in Quito that it was impossible for me to check out even the 1%. Since the first 3 weeks, I was living in an apartment and cooking my own food I didn’t really explore the restaurants. But when I went back the second time I did a lot of eating out and although most of the time I returned to the same restaurant I managed to check a few out. Here I am telling you my favorites. You can check them out also in the below map. A fancy restaurant in the busy Plaza Foch in the heart of La Mariscal neighborhood. The restaurant offers gourmet Ecuadorian food and it’s quite popular as fine dining. I went try the ceviche and although it was really delicious and nicely served it didn’t make a meal. I was still hungry after my dish which was supposed to be the main course. So if you are not traveling on a budget it’s definitely a place to try. This fancy restaurant in the middle of the historical center is quite popular for its huge terrace and its spectacular views over the city. I went there one night and it was raining so I ate inside. It was nice but not so wowed. The food was great and although there was not a lot of choices I chose a seafood plate which was delicious and satisfying. Definitely to try. Prices are higher then average. Because I am obsessed with views, Cafe’ Mosaico was one of the places I really wanted to visit and it was no mistake. I have to say I risked it to get there on foot. If you are going from the historical center and you want to cut through the small lanes, that is not a good idea at all. I was told afterward that the neighborhood is generally safe but if you stay on the main roads, which I didn’t because it would have taken me forever to reach the cafe’. So you should get a taxi just to be on the safe side. Anyway, I arrived safely, but short of breath (because of all the stairs I had to climb and because the road looked creepy and I was scared). The place is really cute with a nice terrace overlooking the entire historical center of the city. It’s definitely a great place to have lunch or dinner. The food is awesome too and they have vegan and vegetarian options. I had a vegetable curry and was so spicy that I cried my eyes out but super delicious too. This cute cafe’ is full of inspiring wall graffiti and delicious snacks and breakfast. The coffee’ is great too. WIFI is not so good if you were thinking to go and work from there. I had to move, unfortunately, after I enjoyed my breakfast, savory and very nicely presented. This is just a cafe’ situate at La Floresta. They don’t have much choice if you want to eat, but it’s a cozy and fancy atmosphere. I stayed an entire morning to work and enjoyed it. This is where I have had the majority of my meals. Cozy atmosphere, great wifi, awesome vegan and vegetarian food with lots of choices. Why should I have gone anywhere else? Well, yes for the sake of experimenting but when you have lots of work to do and find the perfect spot you just feel lazy to look for others. Delicious vegan restaurant right under the Guapulo viewpoint, with a great variety of vegan dishes and spectacular views. To be totally honest, although I always love to visit hotels when I explore a city, I didn’t do it this time in Quito. Therefore I don’t really have suggestions based on personal experience. 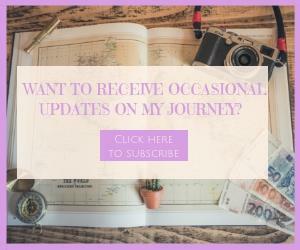 Having said that, there are a few hotels that I have checked out online following the advice of other travelers I met on the road and some other reviews that I saw and I would like to share them with you in this section hoping that they are still useful. Of course, there are more than 2 5-star hotels in Quito but I found these 2 the most interesting for their role in the history of Quito. This spectacular luxury hotel is a piece of history and looks more like a museum than a hotel. 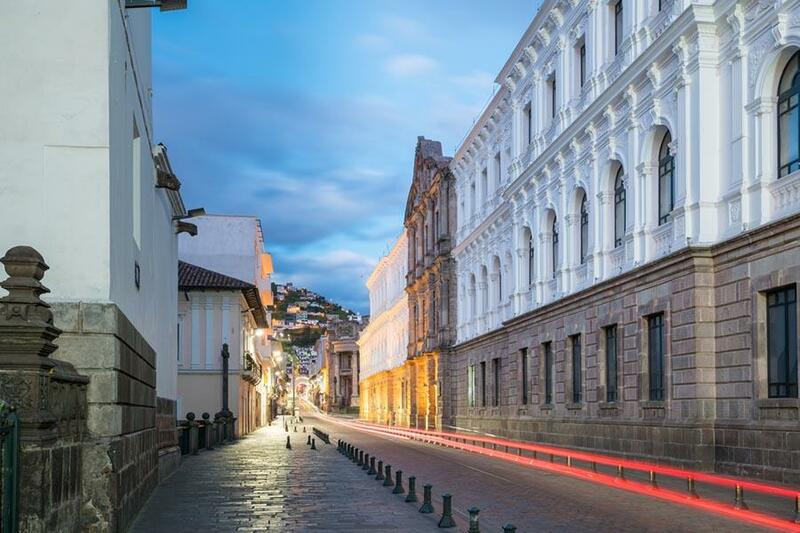 If you love the modern style this is not for you, but if you like the idea of stepping back into history and luxury you will love this property, an old mansion that has turned into a spectacular luxury property, probably the most elegant in Quito. I needed to include this hotel after seeing the sister property in Cuenca. Gorgeous and cute. They have both dorm rooms and private rooms. The private rooms are modern and stylish with beautiful graffiti on the walls and other creative decorations. Even the common area is really cute and cozy. I would definitely stay there next time I go to Quito. They also have other properties all around Latin America. I am including this hotel because a trustworthy friend of mine saw it and kept raving about it. Very stylish modern and elegant. 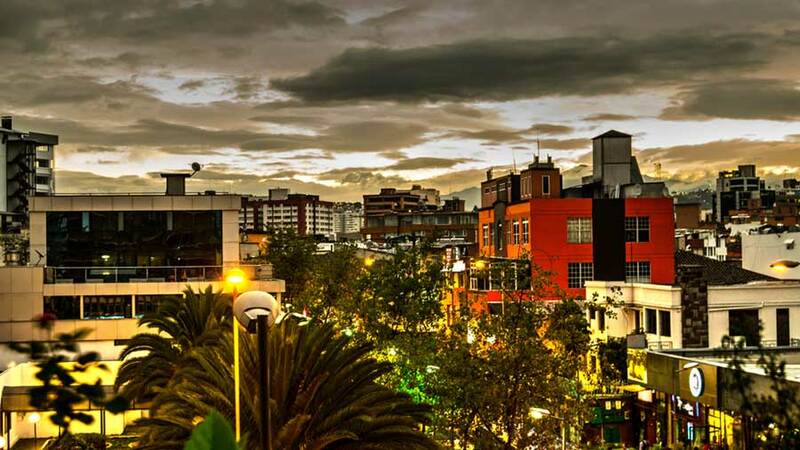 A boutique hotel situated in the heart of La Floresta, my favorite neighborhood in Quito. I visited Masaya Hotel by pure chance and I fell in love. It’s in the heart of the historical center and once you enter this property the first thing you notice is the spectacular garden where huge cushions are spread around to relax and read your book but also tables are available if you need to work from your laptop. Wooden furniture and minimal style make it a very simple but elegant option. I didn’t see dorms or rooms but from the main area, I have a feeling that they have the same charm. Many backpackers that I found along my journey through Ecuador had only praise about this hostel. This is why I have included it. They also have a nice rooftop with lovely views of the city. So, I stayed at Secret Garden Quito for one night and I was happy it was only that short. I didn’t like it at all, because the rooms were too small and had a shabby feeling. It was also very noisy so if you love party hostels, that’s your tribe. They have a beautiful terrace overlooking the city, though, where they have a restaurant. See above. I have included both in Hotels and hostels because it can cater to both types of travelers and make them both happy. Absolutely stunning. 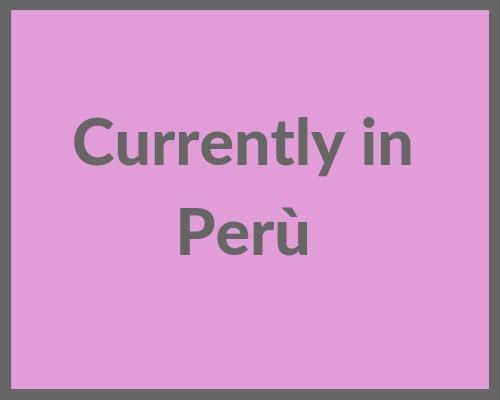 I stayed in Quito for about 40 days overall. 25 in the historical center and 15 in La Mariscal. In the historical center for some reasons, I didn’t feel comfortable, at all. When I arrived my hosts suggested I shouldn’t go out at night, especially all by myself. And during my stay talking to my Uber and taxi drivers were reminding me of how unsafe the city had become, especially the historical center. According to them, there are many pickpocketers and random assaults are not uncommon. Sadly, many will put the blame on the Venezuelans that have escaped their suffering country and they are now committing crimes here because of their miserable situation. However talking with my friends and other Ecuadorian, they confirmed my thoughts, that crime has always existed and Venezuelan have no particular faults. Yes, there are many Venezuelan, but most of them have a respectable job, others their own business and a few are sadly begging on the street just like Ecuadorians. Unfortunately, beggars and assaulters have no specific nations. They can be from anywhere. I have to say that when I was staying at La Mariscal, I felt much safer to walk around even in the evening hours. The area around Plaza Foch was always crowded and with lots of police around. Don’t show off jewelry and phones. I didn’t bring my big camera around the city and all the pictures were taken by phone but when I finished I would put it back in my pocket. Avoid walking alone in dark and isolated roads. Avoid walking there at all. Avoid showing off your new big camera. When taking taxis, make sure they are using the taximeter and if you can, take a picture of the plate and send it to a friend. I used uber all the time and I felt very comfortable. I was amused when I asked locals about the weather and most of all about the season. Because being January and on the Equator, what season is that? winter or summer? You will not believe that I got many different answers, so I am still confused. The fact is that the climate is basically the same all year round and always variable. Which means that in one day you might need a winter goose feathered jacket and a tank top, no matter what month of the year it is. Fun, isn’t it? My best suggestion would be to always dress in layers and bring a small backpack where you can store your jacket when it gets hot and vice versa. And also bring a raincoat or a poncho. Every time I find UBER available in a city I always chose Uber, they are more reliable, you know in advance how much you are going to pay and, according to my personal statistic, I am not sure why, but UBER driver are usually nicer and lovely to talk to. In Quito in particular, I used both because not all the time I was able to connect on the phone and call an UBER. With one or two exceptions, I found the taxi drivers in Quito were not particularly nice. However, if you are not familiar with uber and prefer a taxi make sure they are using the taximeter or let them tell you in advance how much they will charge you. Keep in mind though, that UBER is not officially legal, so you should sit in front and avoid paying the driver, but use the credit card. I feel weird to instigate an illigal practice, but considering that it is legal in many other countries and it’s not a crime, I would just use it. There are also public buses (the blue buses) and one Trolebus which cross the city from north to south, each ride is o.25 cents. You can find more information here. Because the city is so spread out in length for about 40 km, there are different bus terminals according to where you need to go or where you are arriving. If you go to Mindo you will need to get to terminal Ophelia. Ecuador currency is US dollars, the same as in the US, except for the coins which are different and the US coins are not accepted. Don’t ask me why. Cash machine are scattered around the city and almost everywhere except remote villages, but sadly enough they don’t allow to withdraw more than 200 USD a time and each time you do it, there is a charge from your bank (which depends on your bank policy) and the one from the local bank. I found that Banco Pichincha charges an outrageous 3 USD per withdrawal (but in Galapagos 0 USD, weird), whereas Banco Guayaquil a more modest 1.5 USD. Banco del Pacifico 2 USD.